AutoCAD has a wide library of commands. There are many commands which used to drawing any type of drawing. 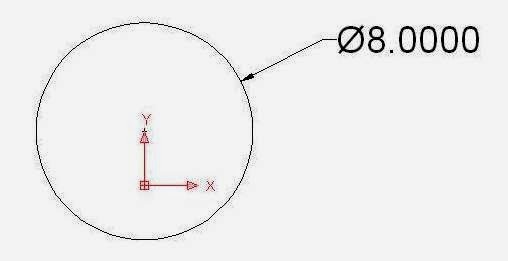 Today i am going to tell you about various method to drawing circle in AutoCAD. by simply press C enter. 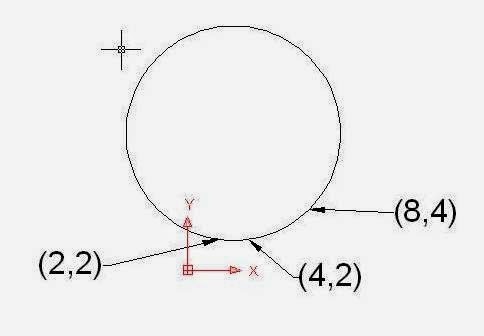 are six method to draw a circle which are explain given below. Circle tool from the quick access toolbar or press C enter. 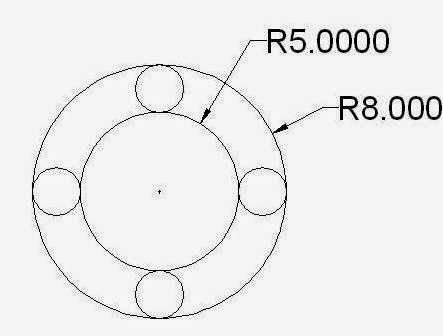 the radius of circle and press enter. 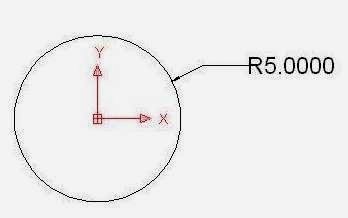 a circle whose center lies at the origin and radius is 5.
than click anywhere in drawing area. enter the diameter of circle and press enter. a circle whose center is (0,2)and diameter is 8.
we know the two points from which the circle pass. a circle which pass from two point (4,0) and (8,0). This method is used when we know the two points from which the circle pass. selecting first point by x,y and same as second and third point point. a circle which pass from three point (4,2) , (8,4) and (2,2). This method is used when we know two tangent of the circle and radius of the circle. press TTR or T and enter. specified first and second tangent by clicking on the tangent with the mouse. enter the radius of circle and press enter. 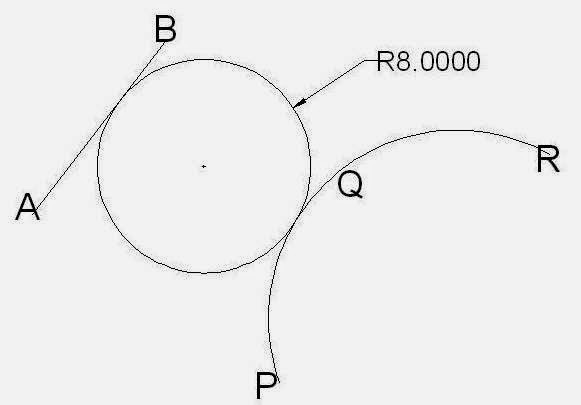 a circle which has two tangents line AB and curve PQR and whose radius is 8. This method is used when we know three tangent of the circle. a circle which has three tangent line AB, line CD and curve PQR. circle> drop down menu> TTT. Problem 1 : draw a circle whose radius is 8 and center lies at point (4,4). 1. line AB which passes from point (3,4) and (6,8). 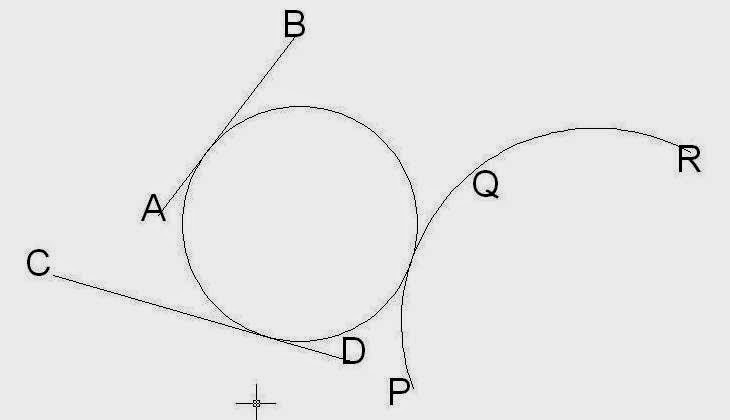 2. line CD which passes from origin and make angle 45 degree with x axis. 3. line EF which passes from point (0,4) and (0,8).